With the Watergate hearings as a backdrop, quotes from various newspapers and magazines--including the story of Robert Smithson's death in a plane crash--build a picture of the confusing and tragic events of July 1973. 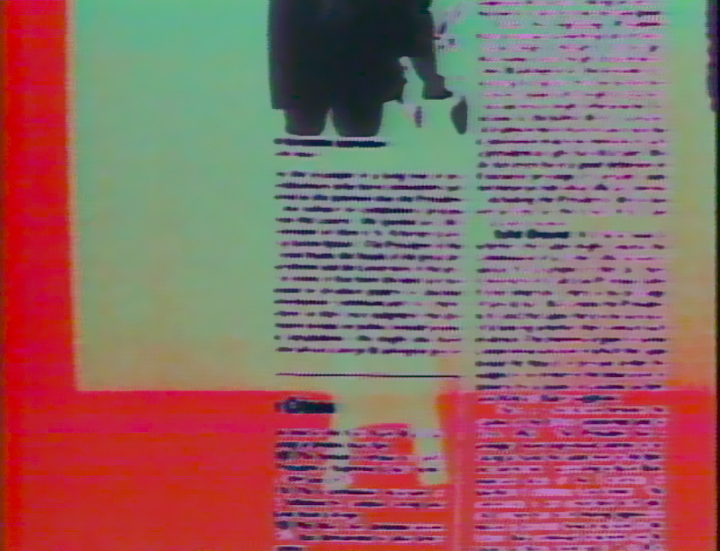 Sonnier uses appropriated footage and reproduced newspaper clippings to create a richly layered video that attempts to sort out the truth from the available information. Sonnier's instructions to the computer operator reference the making of the video, and thereby create a self-conscious, limiting frame.